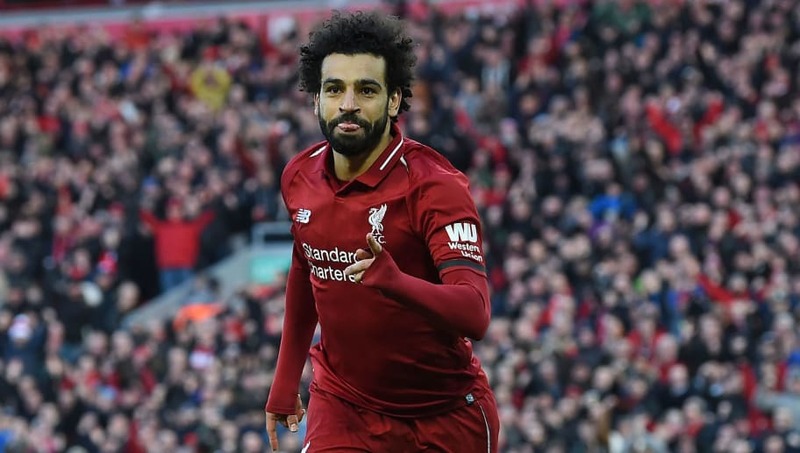 ​Liverpool forward Mohamed Salah has hit back at his critics, insisting he is on par with the Premier League's best players, after he created the Reds' winning goal in Sunday's 2-1 win over Tottenham Hotspur. Salah forced a late own goal from Toby Alderweireld to give his side all three points, but is now eight games without a goal, and many rivals have been quick to criticise the Egyptian for his poor run. Speaking after the game, ​Salah countered the argument by reminding his critics that he is still on as many goals as some of the ​Premier League's best players. He is quoted by ​The Guardian as saying: “Normally I stay outside the box on corners but I followed my intuition and went inside. "We got the three points, that’s the most important thing. I don’t care about the goal. "There are some players with the same number of goals as me and they are having the best season of their lives, and I’m supposed to be having a bad season. I want to win the Premier League; that’s the most important thing for me. The victory carried ​Liverpool back to the top of the league standings, although ​Manchester City can move ahead of the Reds once again if they win their game in hand. The form of ​Sadio Mane and ​Roberto Firmino, who netted the opening goal on Sunday, has been vital for Liverpool during Salah's dry spell in front of goal. However, as the winger rightly points out, he still has 17 league goals this season, level with the likes of ​Harry Kane and ​Pierre-Emerick Aubameyang and behind only City's ​Sergio Aguero in the scoring charts.